Mobile patrols, although only affording a limited level of protection can prove useful in conjunction with our alarm response and key holding service. In the event of your premises being subject to burglary or criminal damage, the matter can be dealt with swiftly thus preventing a more serious situation developing. Mobile Patrols protect your property day and night. They are a suitable alternative if static guarding is impractical or too expensive when high visibility is required. We visit at random times and check pre-determined locations which means you will have the peace of mind knowing we are patrolling exactly what you want us to protect. We will provide you with detailed reports of patrols carried out so that you can be confident that the patrols are taking place and you are notified of every incident that may have taken place. 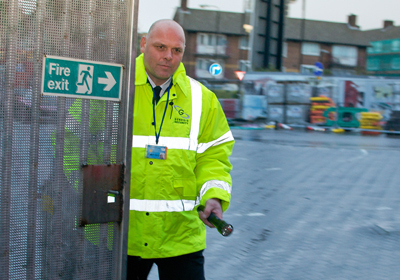 This is an alternative to having 24-hour or overnight Security personnel at a site, and while some companies may provide a sub-standard service, we can guarantee that you will receive customer satisfaction. Mobile security patrols are particularly useful for areas that do not need visible static security guards all the time. Visits by security patrols can detect a crime or hazard on your premises and trigger a prompt and quick response by protection officers.